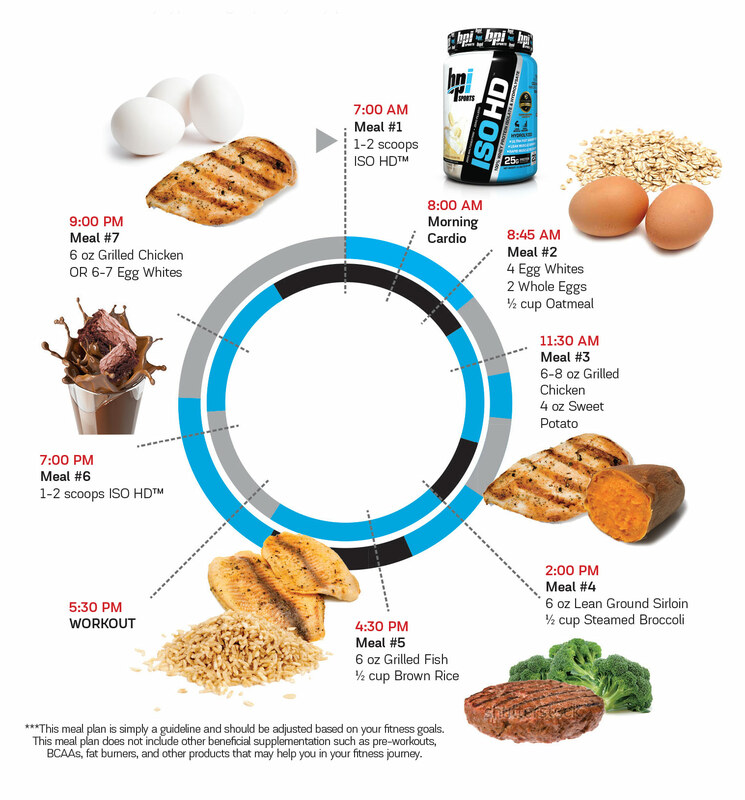 Part 3 of the BPI Protein Bible covers the best time to take your protein (aka protein timing) and why. Right when you wake up: While you sleep your body is essentially in fasting mode. You haven’t had any nutrients for about 6-9 hours (depending on how much sleep you are able to get) and your body kicks in to “use muscles as fuel” gear. Consuming a protein shake within 30 minutes of waking up prevents muscle breakdown and gets your body ready for muscle building. Protein shakes are more beneficial than other sources of protein in the mornings because it is quicker to digest than say a piece of chicken or other solid food item.20-30 minutes, before your workout: In the same way that your body needs protein when you wake to prevent muscle breakdown, the same concept applies here. If you don’t fuel your body properly prior to working out, your body will use your muscle as fuel as opposed to using the protein you provide it. This will also help the post-workout muscle recovery phase.30-45 minutes, after your workout: Time to refuel. After a workout, your body is hungry for a re-feed. You just depleted the energy stores you provided your body before your workout and now it’s time to replenish with some protein nutrients. Consuming protein after your workout within 30-45 minutes helps repair and recover tired muscles and get your body ready for your next training session. Repairing your muscles after a workout is how muscle growth occurs. Before bedtime: When it’s just about time to call it a night, consuming anywhere from 15-25 grams of protein 30-45 minutes before bed has the potential to preserve lean muscle and help your body recover while you rest. Consuming too much protein (exceeding 30+ grams) before bed, however, could end up keeping you awake due to your metabolism cranking away in overtime.